A fun outing for your whole family, or group of friends! 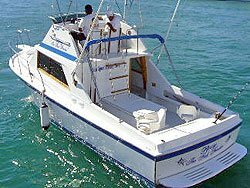 Charter a whole boat for a couple of hours, half a day, or all day long! 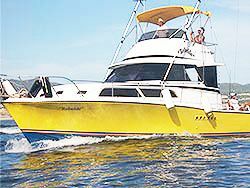 We'll take you where you for a cruise out around Land's End, including El Arco, the Sea Lion Colony, Lovers Beach, and Pelican Rock, or we can head up the coastline to Santa Maria Cove and Chileno Bay, relax on a remote beach, or all of the above! 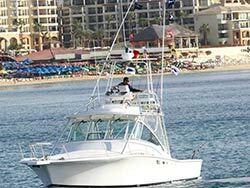 These trips are fully customizable, you can go where you like, snorkel as much or as little as you want, and see the coastline of Cabo from the water, while you watch for dolphins, manta rays, and sea turtles. In season, you can also see whales! 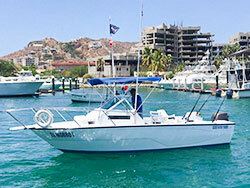 You can also choose your start time, so you can do a sunset cruise, and it's perfect for a cruise shore excursion! Daily at 12:30 PM or later. Start time is flexible, just no earlier than 12:30 PM. Any special requests or instructions, or other things you think we should know. Something a little different - fun that you can do it with just your family too. We'd recommend 5 hours if you're going to go snorkeling at Chileno Beach or Santa Maria Cove, but you can do it in 2, you just won't have much time. Don't forget - you can do this anytime of day. If you want to do a sunset cruise, that is no problem. 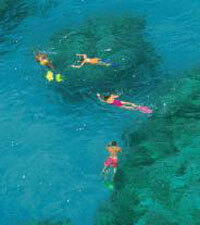 You don't even have to snorkel if you don't want to, just cruise the bay and have a great time!